Welcome to A Sampling Bee! 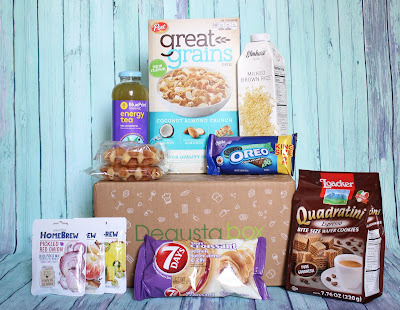 Today, I am sharing with you March's Degusta Box USA! This month's box had a theme to it and that theme is Breakfast! March's box contained items that help get your day started. March's box contained 8 yummy food and drink products! 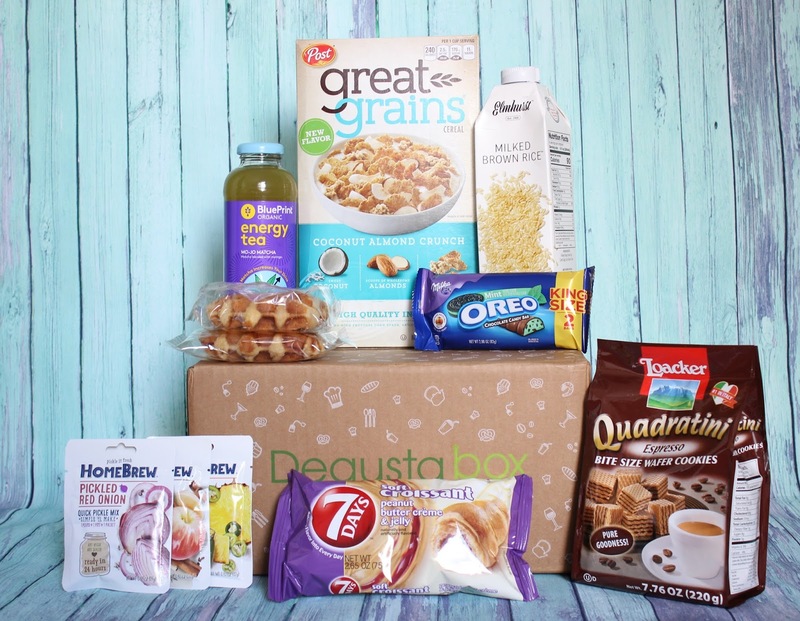 Subscribe to Degusta Box USA today and receive this amazing box each month! See what was inside March's box below! Homebrew Quick Pickle Mix makes pickling easy! Say goodbye to expensive ingredients and special equipment. All you need is 2 cups of produce, a pint jar and a packet of Homebrew. Make yummy pickles in the refrigerator in just 24 hours! $1.50 each. Box contained 3 different flavors. Julian's Recipe Belgian Pastry Waffles are made from an Authentic Liege recipe that includes pearl sugar and sweet vanilla. The waffles are individually wrapped for freshness. These ready to eat, right out of the package waffles are available in your grocer's freezer. Box contained 2 waffles. $4.99 for a box of 4. Degusta Box USA is a wonderful subscription box. So, if you love trying new snacks, drinks and other food related products, give them a try! Save 50% off of your first months box! Click HERE! I received Degusta Box USA in exchange for my honest review. All opinions are my own, always!